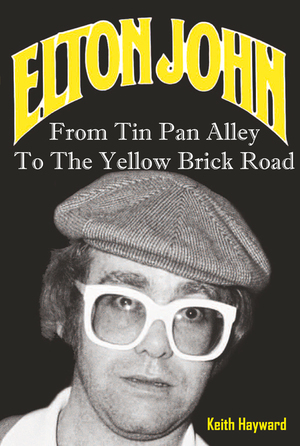 From Tin Pan Alley To The Yellow Brick Road is author Keith Hayward's sequel to the critically acclaimed Tin Pan Alley: The Rise of Elton John. It continues Elton John's story from the start of his solo career and his breakthrough with 'Your Song' to the end of the seventies. A time where Elton achieved unparalleled success, but at a price. Personal relationships and the physical exhaustion of being one of the most in demand performers in the world are documented alongside the sometimes ruthless business side of the music world. With contributions from many people who played a big part in Elton's success, including his manager John Reid, David Larkham (cover designer), Stuart Epps, Steve James, Kenny Passarelli, Roger Pope (whom the author managed) and Kiki Dee. This is a journey through the music business - from the mid sixties through to the end of seventies - as seen through Elton's career.Complete with a comprehensive gig list that has been painstakingly researched to include gigs as far back as 1966, From Tin Pan Alley To The Yellow Brick Road is a thought provoking and engaging read that places Elton John's success within the context of the multi-faceted and sometimes complex world of the music business. This independent publication is totally unauthorised.